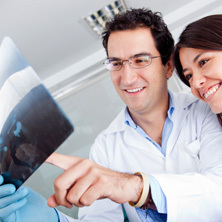 Are you considering becoming a Dental Assistant in Encino? 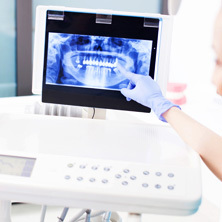 In the state of California, a Dental Assistant must have their California Radiation Safety (X-Ray) certificate to be permitted to take X-rays in a dental office. Our California Dental Board approved X-ray course teaches students the importance of radiation safety and prepares students to perform X-rays in a dental office. Upon completion of The Valley School for Dental Assisting’s X-ray course, we will issue an X-ray certificate to the student. 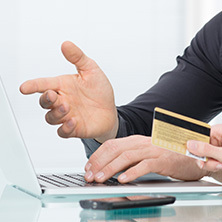 This is an extensive 2-day course, with hands-on experience and additional homework assignments. Our X-ray course will begin with lectures on radiation safety and X-ray techniques. Students are required to complete two FMX’s on our X-ray mannequins, and after day one is completed, students are assigned three FMX’s to be completed on patients as homework*. The homework can be scheduled to be done in our facility, or if the student has access to an outside dental office, the homework can be completed at an outside facility. Day two cannot be scheduled until all homework has been completed and approved, at which point students will be given a written exam and a clinical exam of one FMX on their own patient. Students will be given a written exam and a clinical exam of one FMX on their own patient. Upon successful completion, students will receive their California Radiation Safety (X-Ray) Certificate and will be able to perform X-rays in a dental office. 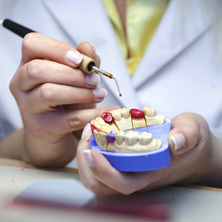 *The Valley School for Dental Assisting supplies all materials for this course. *Students must use their own patients.